With a husband, two Duders, a day job, and photography jobs on my plate, blogging has become the LAST thing I think about. But I’m bound and determined to get back into the swing of it! Since I use Instagram at least a few times a week, I figure it makes sense to post some of those pictures here too – especially since I can’t seem to blog without attaching a photo (or two. Or twelve)… it just doesn’t seem right! When I need inspiration, I often turn to Clickin Moms. They send out weekly prompts that we can use, and then share our images with the community. I didn’t post something for each prompt. But I thought I’d share some of my favorites. 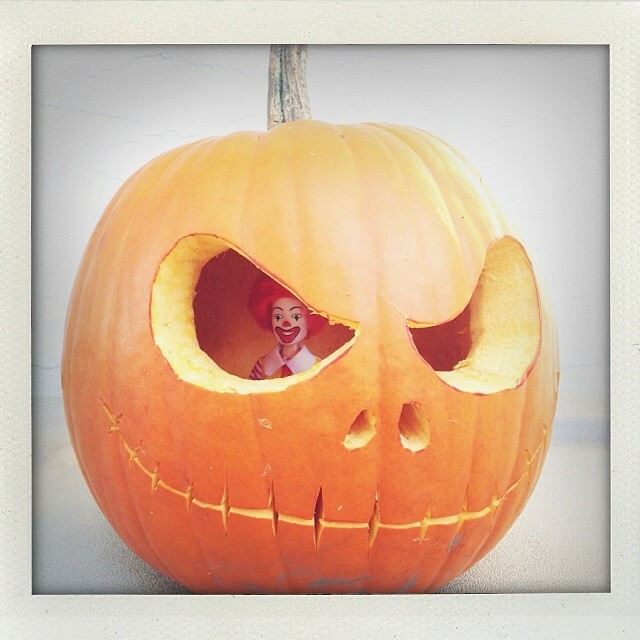 Does it get any creepier than #CreepyRonald? I think not! I have a number of InstaFriends who hate my disturbing little friend. I couldn’t resist trapping him inside our Jack o’lantern for this picture. I usually take a coffee break around 11am when I’m at the office. And by that time, my sweet tooth is kicking in, big time! 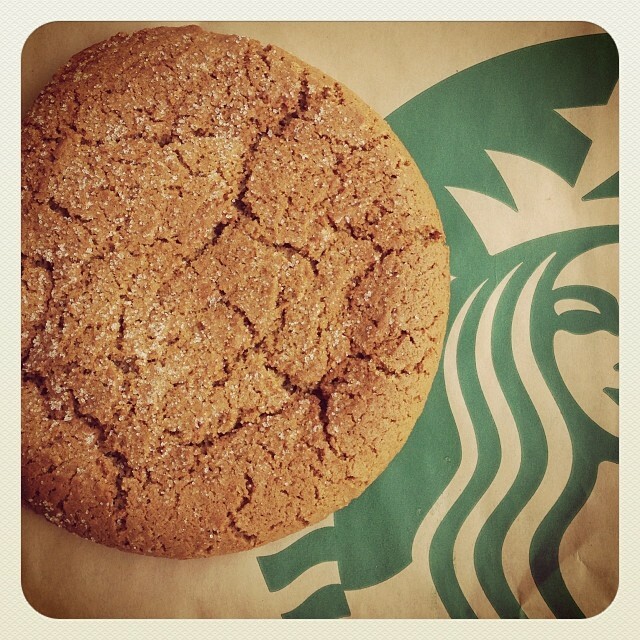 One of my favorite sweet treats is a Starbucks ginger molasses cookie. It’s been really foggy in Victoria lately. 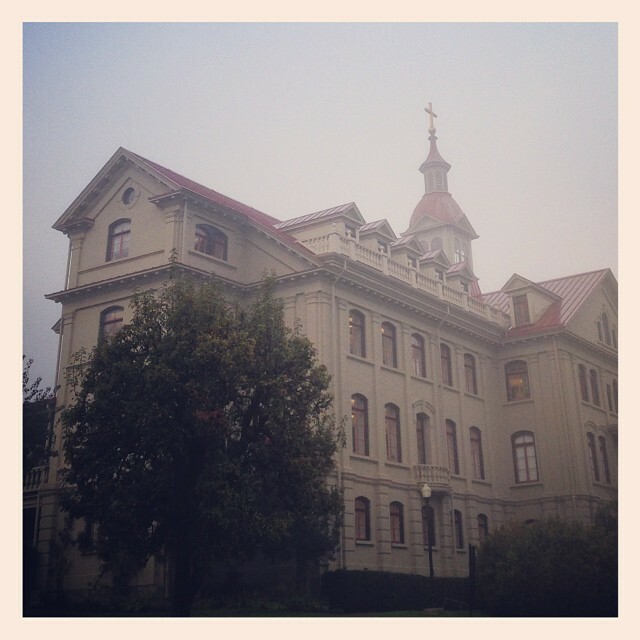 The heritage building that I work in (St. Ann’s) is made even prettier by the fine foggy mist. I can’t help it… I’m a fan of MOST things retro. The houndstooth scarf that’s used as a background here is one of my favorite Christmas gifts from last year. 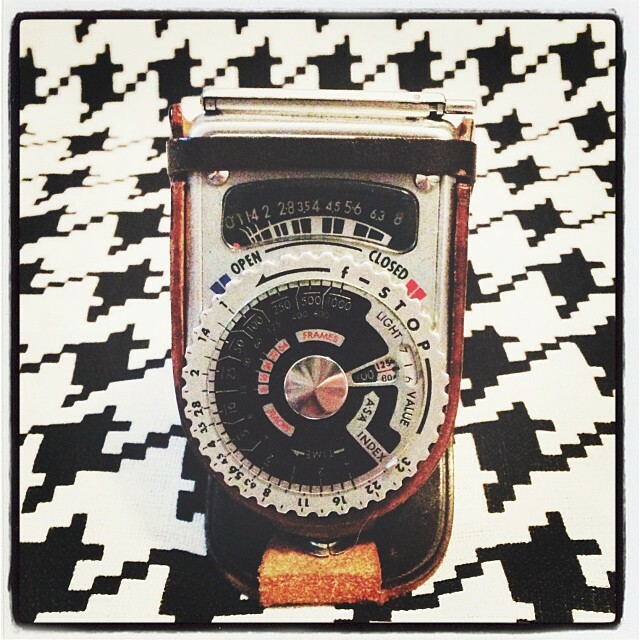 But how cool is the antique light meter that is the real focus of this prompt!? I’m a huge fan antique cameras, and was pretty excited to find this light meter, stashed in the bottom of a box of old cameras that my hubby bought for me a few years ago. I’m going to TRY to post some Instagram pictures every week. Fingers crossed that I can keep it up!